When you buy furniture, consider purchasing pieces that are able to serve multiple functions. Furniture that can adapt to different requirements is less likely to become clutter as your needs change. My wife and I have a Nelson Platform Bench in our entryway. 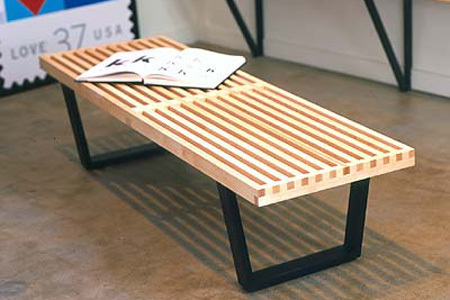 When we bought it, we acknowledged that it could easily serve as a coffee table in the future. 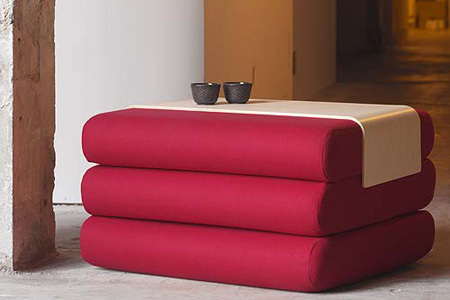 The Bingo Pouf with Tray Table is a reasonably priced ($348) side table that folds out into a full length bed. It’s probably cheaper than any decent sofa-sleeper you’re likely to find, although you probably wouldn’t want any guests sleeping in it for more than a night or two. 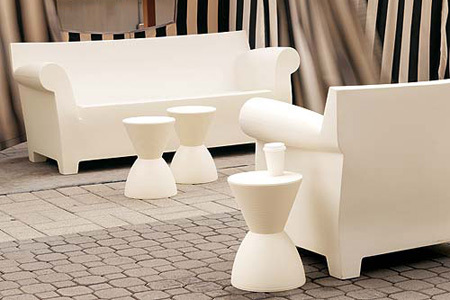 Small stools can easily be transformed into side tables when extra seating is not required. Philippe Starck’s Prince Aha Stool is a nice inexpensive ($87) piece to consider. 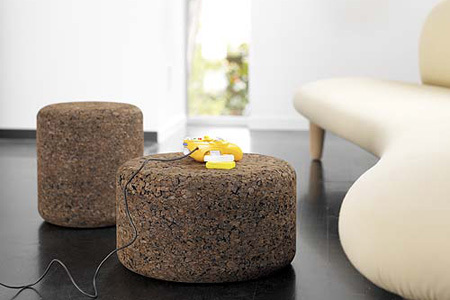 Jasper Morrison has a beautiful, albeit more expensive, stool in cork that could also function as a side table. 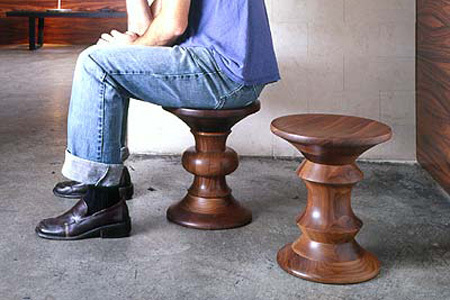 If you like beautiful turned wood, consider an Eames Walnut Stool. 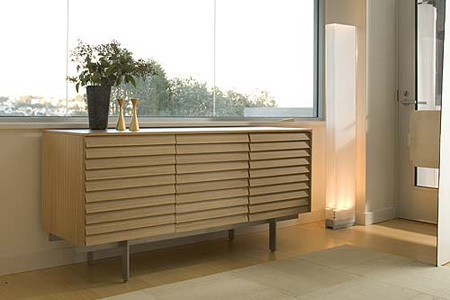 The slimmer depth of newer televisions means that credenzas can now easily function as entertainment centers. The same concept still applies even if you’re not a sucker for the modern look, like us. The idea of multitasking furniture is a good one. However, most inexpensive “clever” furniture doesn’t do either job very well. When you get into the realm of really cool multitasking furniture, you have to give up the clutter caused by your arm and a leg as a trade off.